Image: Bob Mahoney / Netflix. If you need a pick-me-up today, Netflix has you covered. 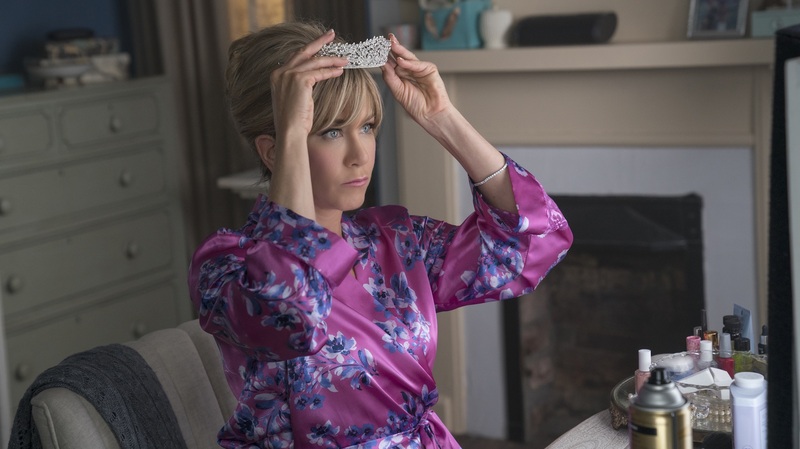 The streaming giant just dropped the first official trailer for its upcoming feature film Dumplin’, starring Jennifer Aniston and Danielle Macdonald. And, y’all, bless it. For those unfamiliar with the film’s origins, Dumplin’ is based on the New York Times best-seller of the same name by novelist Julie Murphy. It tells the story of Willowdean Dickson, a.k.a. Dumplin’ (Macdonald) — the plus-size teenage daughter of a former beauty queen (Aniston) in a tiny Texas town. When Willowdean gets fed up with the tired clichés and tropes of small-town life in the South, not to mention being invisible in her own home, the teen goes against the status quo by entering her mom’s Miss Teen Bluebonnet pageant. Other unexpected contestants follow Willowdean’s lead, and a feel-good film is born. Viva la revolutión! But seriously, how do we love Dumplin’ already? Let us count the ways. For starters, any film that promotes body positivity to teenage girls should be canonized in the annals of pop culture, if you ask us. And need we also point out that the film is inclusive in other ways too? Willowdean and her fellow pageant rebels turn to local drag queens for help (like RuPaul’s Drag Race fave Ginger Minj!). Then there’s the fact that music icon Dolly Parton put her distinctive stamp all over the soundtrack. In addition to classic Parton tracks like “9 to 5,” fans will be treated to new original songs Parton wrote just for the film. “It’s really a wonderful and uplifting thing for young girls altogether,” Parton says on her website of the movie. No dream is too big, y'all! Keep that glint in your eye and get ready for Dumplin' coming to Netflix Dec. 7th. and the soundtrack's coming Nov. 30th. Almost there! 😘 For now here's a sneak peek at the music video for 'Girl In The Movies'! And, finally, we’d be remiss not to mention Aniston is in rare form as a passive-aggressive pageant momzilla. Bless her heart, the woman looks like a nightmare to be around. But in true Aniston form, the actor manages — even just in the teaser trailer — to make you root for the character to experience some redemptive twist. Dumplin’ drops on Netflix Dec. 7, and we’re already looking forward to this female-driven dose of empowerment (and clearly, some hilarity too).